Investigate the seven life processes with the help of "Mrs Nerg". 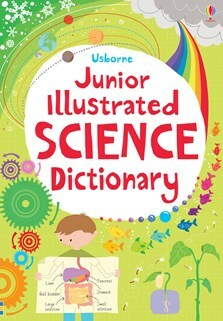 Vibrant and straight-talking, this illustrated dictionary will help children develop firm foundations for confidence and success in science from UK Key Stage 2 onwards. Contains clear definitions of over 700 key terms and concepts, with hundreds of useful examples and illustrations. Readers can dip in for quick explanations or read through by subject to grasp the essentials. A perfect accompaniment to homework, and with links to recommended science websites for further information.